Tony Award Winner Donyale Werle, who started out as a painter, began to re-examine routine theatre practices after working for 13 months on the set for High Fidelity, a 2006 Broadway musical that closed after only 13 performances, she told American Theatre Magazine in Fall 2012. This session focused on producing greener theatre. Donyale Werle has gained much acclaim for her use of salvaged materials in her sets and for her creative designs; she won her recent Tony for Peter and the Starcatcher, whose set was made entirely of recycled materials. 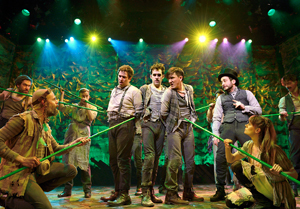 Werle serves as pre-production co-chair for the Broadway Green Alliance. This session was open to all.